GREY2K USA has received updated data on the number of dogs registered to race, and the statistics are good news for greyhound advocates. 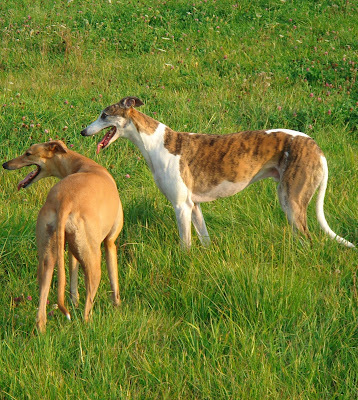 In 2011, a total of 11,759 greyhounds were registered to compete in the United States. This is the lowest total in decades, and represents an 8% decrease from 2010. In short, fewer greyhounds are being bred to race. This is wonderful news, and will directly benefit dogs. As a result of this registration decrease, it is very likely that fewer greyhounds will be killed than ever before. This reduction also means that fewer greyhounds will endure lives of confinement and suffer serious injuries. Of course, this decline also provides more evidence that dog racing is a dying industry. In fact, as of December 2011 the National Greyhound Association (NGA) had only 1,460 members nationwide, and their membership has declined by 12% over the last year. Greyhound breeders often make outrageous claims about the effect dog racing has on local economies. The fact is, however, that greyhound racing is no longer economically relevant. 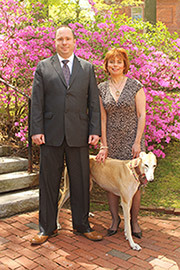 Dog racing is a thing of the past, and this reality is reflected by the NGA's low membership. For greyhound advocates, these new statistics are encouragement that dog racing's days are numbered. For the greyhounds themselves, the end of this cruel industry couldn't come fast enough. This is FANTASTIC news! Such large declines over just a year! Carey, you are doing such astounding work, and, as I told Christine, Greys of the future will tell their children about all the amazing people who helped Greys come out of the Dark Ages of Racing, and your and Christine's names will be at the top of the list. Amazing!